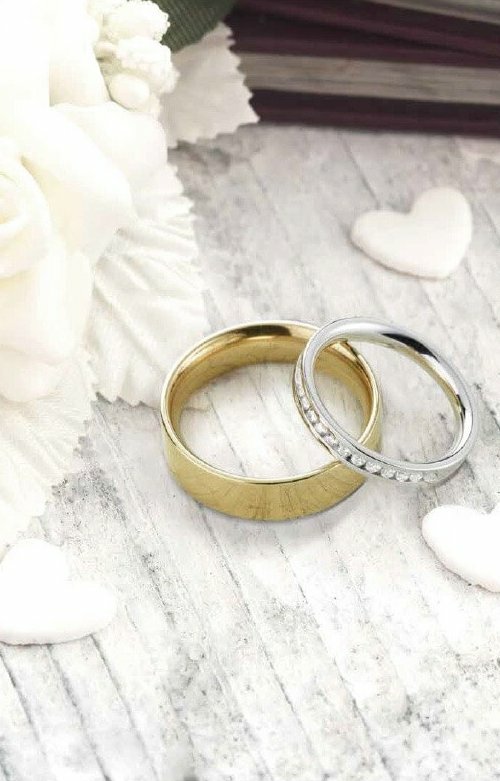 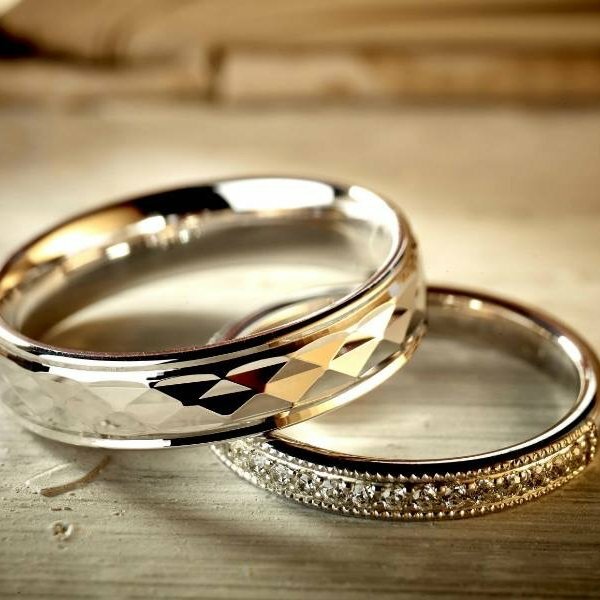 All our wedding rings are made in the UK so you can be assured of the highest quality of workmanship and finish, with an unbeatable guarantee. 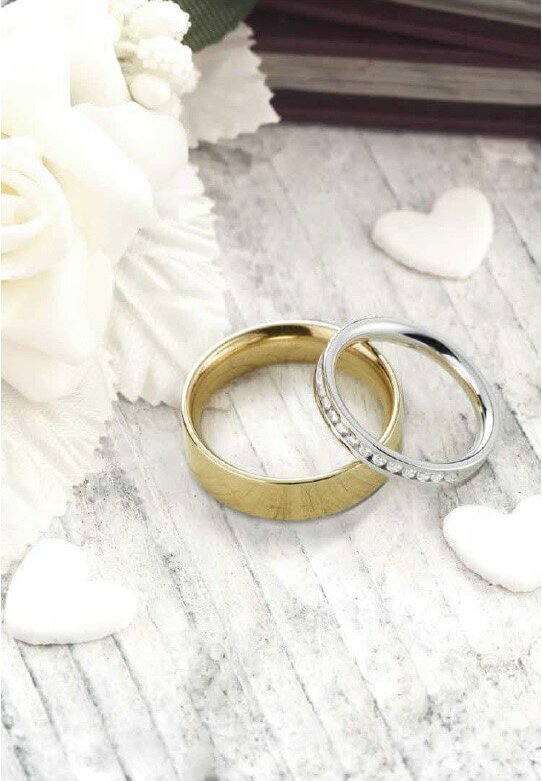 Our wedding and eternity collection features a wide range of plain and diamond set bands, with a vast array of styles and combinations. 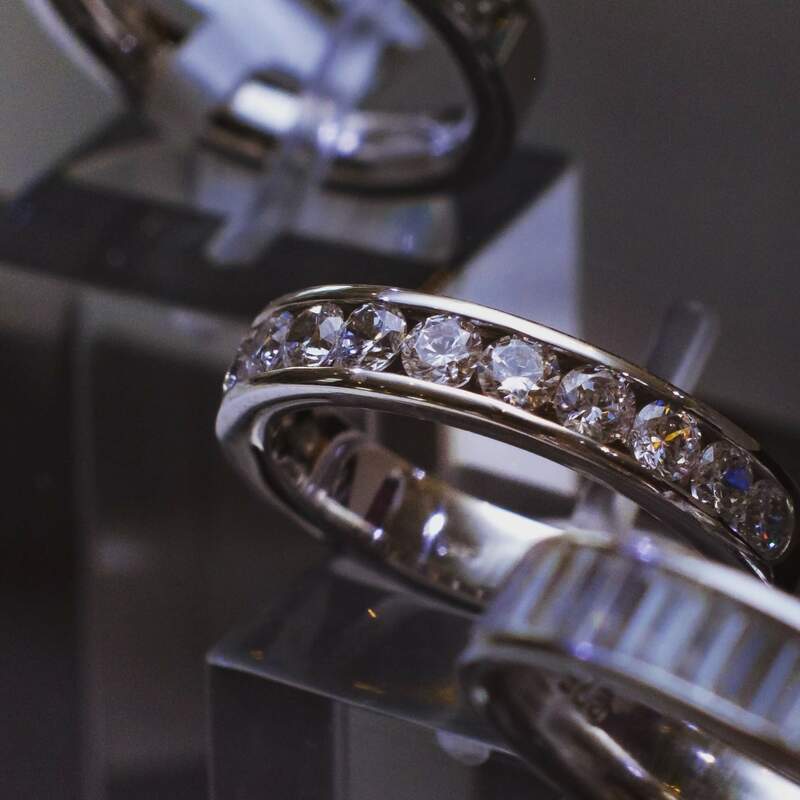 For diamond set pieces, we can work within your budget, offering a diverse palette of cuts and carat weights, and because we work directly with you and our workshops, your dream ring could cost less than regular high street jeweller prices. 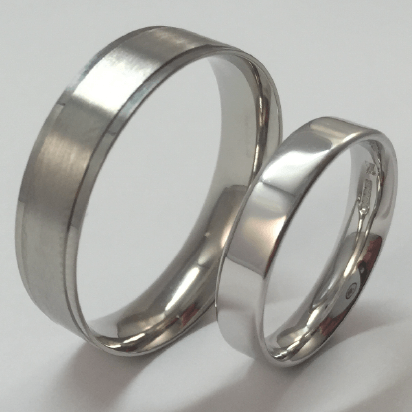 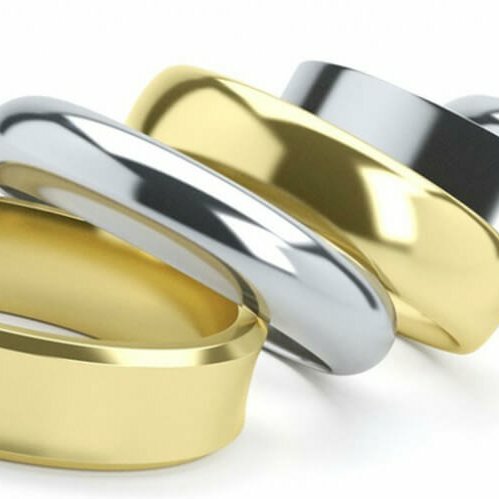 Our plain wedding bands come in a choice of 9 profiles, 4 weights and 8 widths. 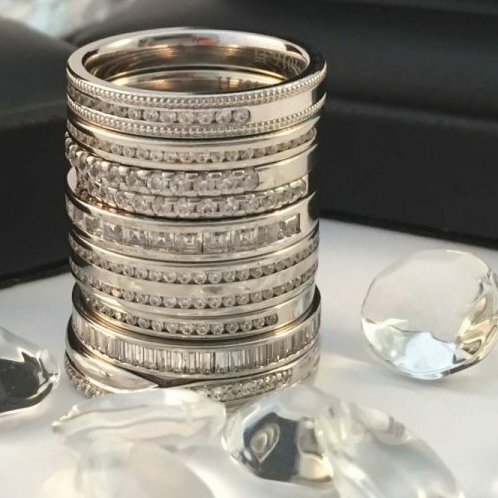 Beautiful just as they are, they are also the perfect base from which to add your own personal touches such as diamonds, coloured precious gems, diamond cutting styles, decorative textures, fancy edges, engraving, handwriting and even fingerprints. 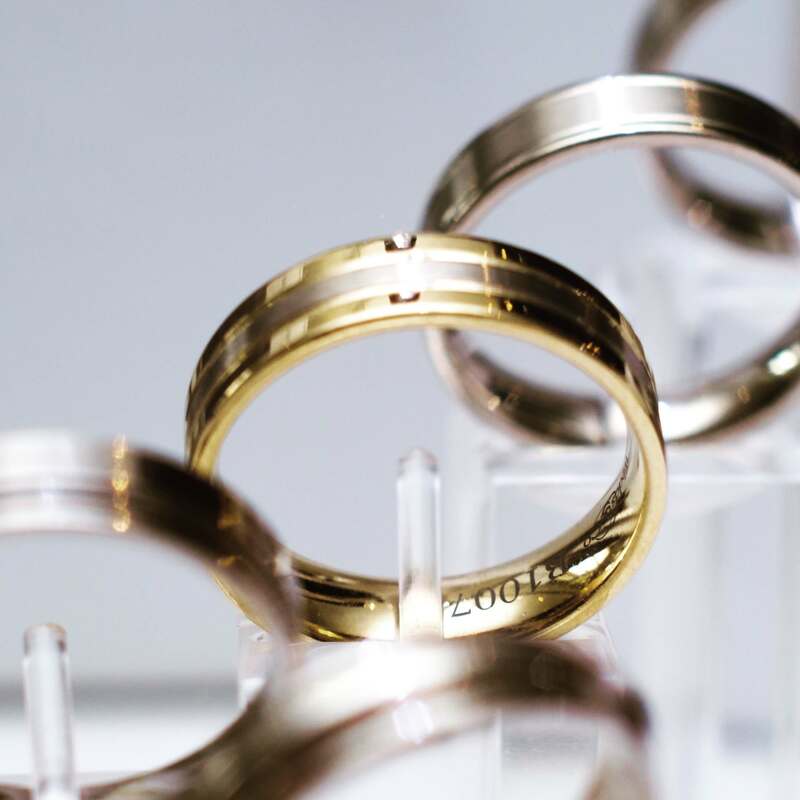 Whilst our sample range includes shaped wedding bands, we can also craft a perfectly shaped ring using your engagement ring as a template with our bespoke fitting service. 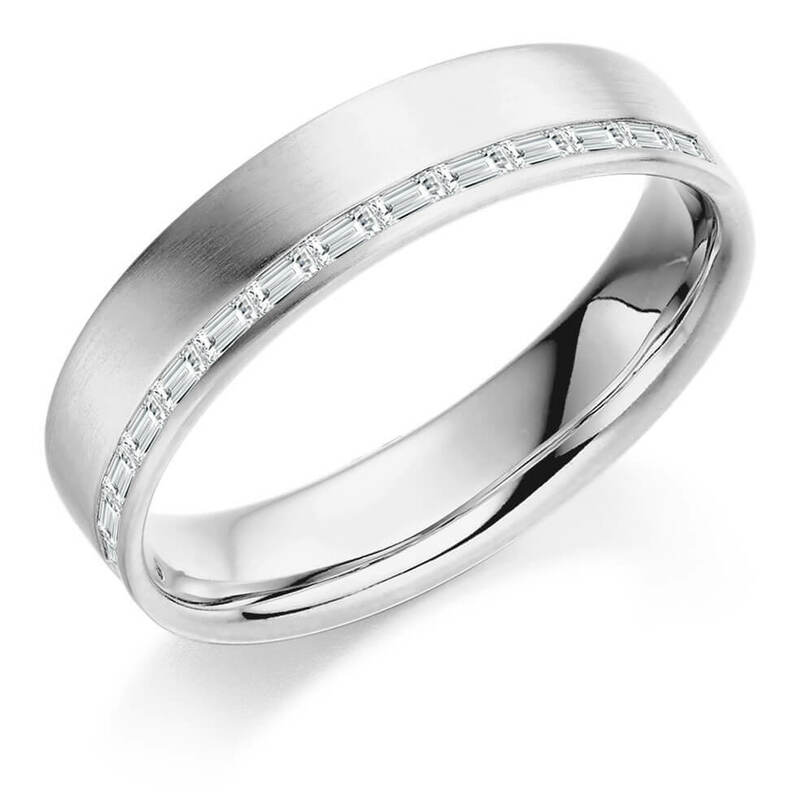 With one of the widest range of ring shapes and styles, we’re sure to have a plain band that fits perfectly. Each style comes in a range of weights and widths from 2mm to 8mm. 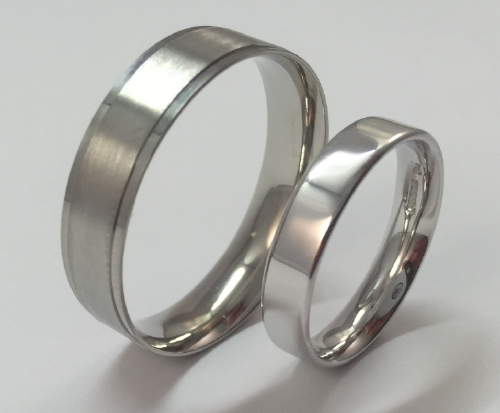 They can also be used as a base for our patterned finishes. 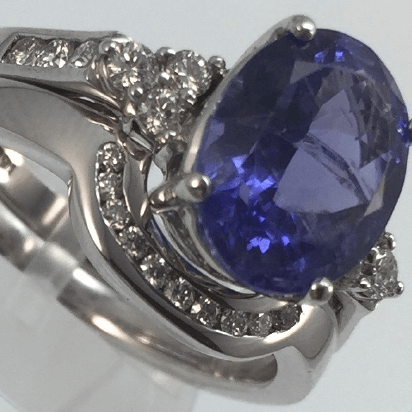 Our diamond set rings all come in 3 stone grades to help fit with your budget and are of superior quality to those you’d find on the high street. 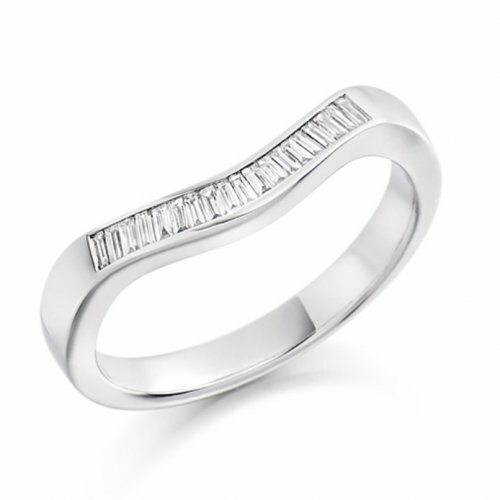 Our diamond styles can also be custom shaped to fit around your engagement ring if needed. 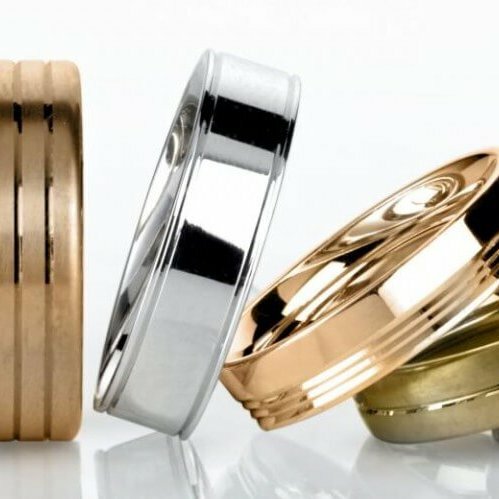 Our mens ring range has everything you could possibly think of – from diamond cut patterns and finishes to stone set pieces, engraving options and an array of alternative metals like titanium, zirconium and carbon.